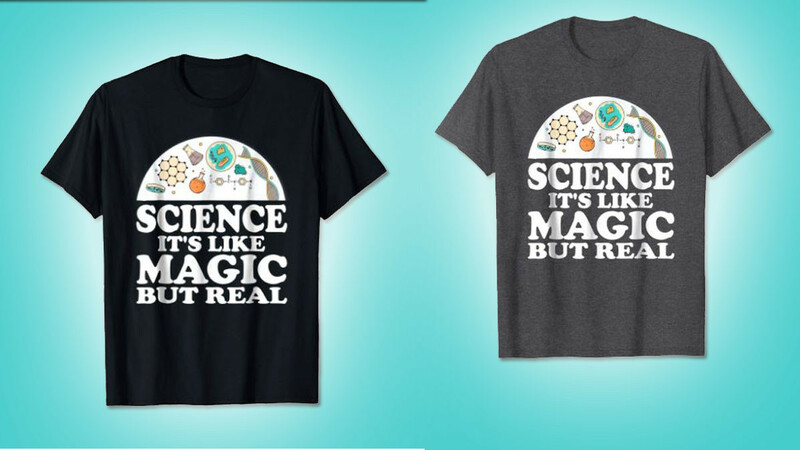 This science is like magic shirt is quirky and comfortable to wear. The shirt is 100% cotton and it is available in a choice of five colors. Colors available are black, green, navy, red and dark heather. Many people dispute scientific facts and this shirt is a cool way to let it be known that you believe in science. Give it as a gift to a teacher, professor, loved one or colleague. This is a cool science shirt for a teacher or student to wear to class. If you are a science fan or a bit of a geek then this is a fun way for you to share your passion with others.